The north-south trending Kullu valley between Rohtang in the north and Hansu in the south is a wide and open valley filled with Quaternary sediments along the main course of the Beas River. The valley in the middle is drained by the Beas River and numerous tributaries join it laterally. The tributary channels have deposited large alluvial fans at their mouths which form three distinct levels. The Beas River has deposited alluvial terraces, which are very distinct towards the lower reaches and form three to four levels. The upper slopes and high altitudinal areas are covered with periglacial and glacial deposits. The terrace, fan and hill slopes have provided an ideal geoenvironment for human activities including agriculture, horticulture, dense settlements and other civil establishments. The Kullu Valley is prone to various natural hazards, flash floods and cloudbursts that are very common in this valley due to its peculiar geomorphic condition, high relief of peripheral ridges and impact of monsoon winds. The studies carried out so far indicate that the losses caused by these phenomena both in terms of life and property are mainly due to unwise human interaction with the geoenvironment of the area. 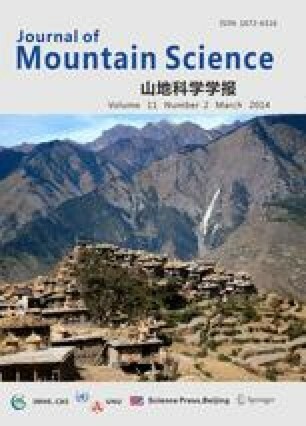 The paper gives an overview of the geoenvironmental status of the Kullu Valley and suggests the necessity of undertaking further detailed studies including resource mapping for balanced development of the area.